With 2017 quickly approaching I was really excited when the ladies from STARTPlanner reached out to me about their amazing planners! I am a HUGE planning person. I love being organized and planning ahead, so this was right up my alley! I'm not sure who makes New Year's Resolutions but I have to admit that I do! I definitely do set goals and visions I would like to achieve and work on. Things that I would like to better myself, my life and help me to be the most productive. I find being organized and setting goals allows me to be a happier, healthier person and the best wife, mom and person I can be! When I first received my STARTPlanner the box caught my eye, the bright pink packaging tape said "Caution, will Increase Productivity!" I am a sucker for little details and cute packaging. That was just the beginning! It got better. The dust bag the STARTPlanner comes in is a great quality linen bag that drawstrings at the top and keeps your gorgeous planner safe and clean. 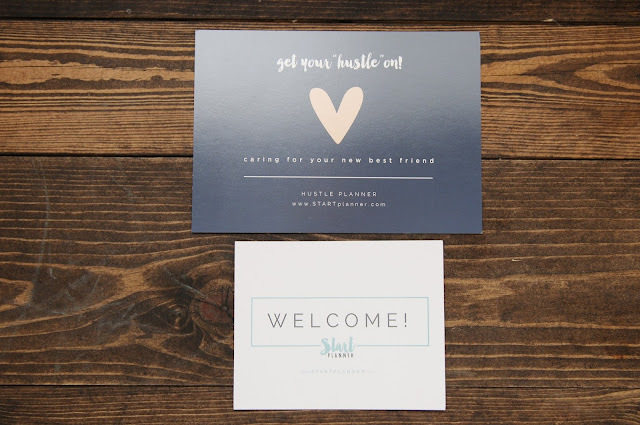 I chose the Hustle Original Planner because I am a day to day, detailed type of girl. 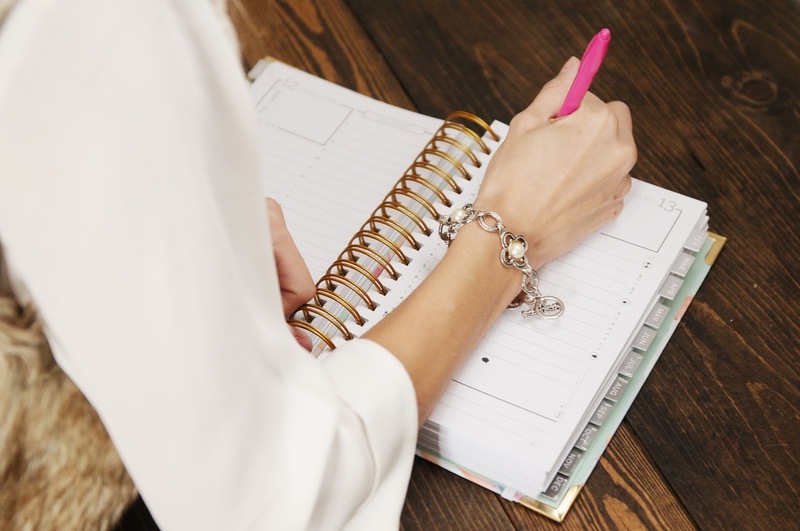 I love to plan my days ahead of time and know whats coming up. In 2017 I plan on continuing to blog and blog even more (if that's possible) so having a schedule for my plans and commitments is going to be extremely helpful with keeping me organized. 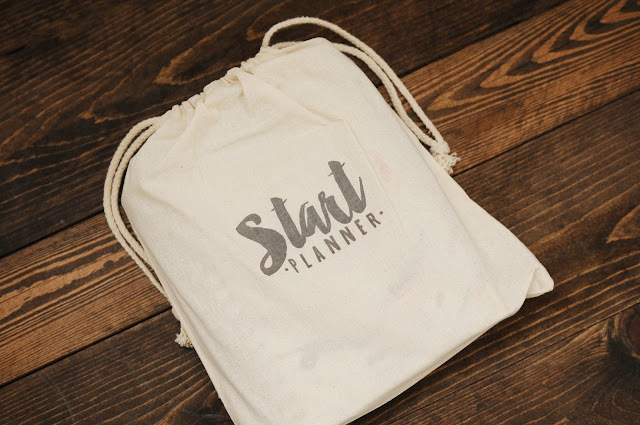 There are more planners to choose from at STARTPlanner.com including another for daily planning, business planning, some "fancy pants" planners and even some add on's and accessories. 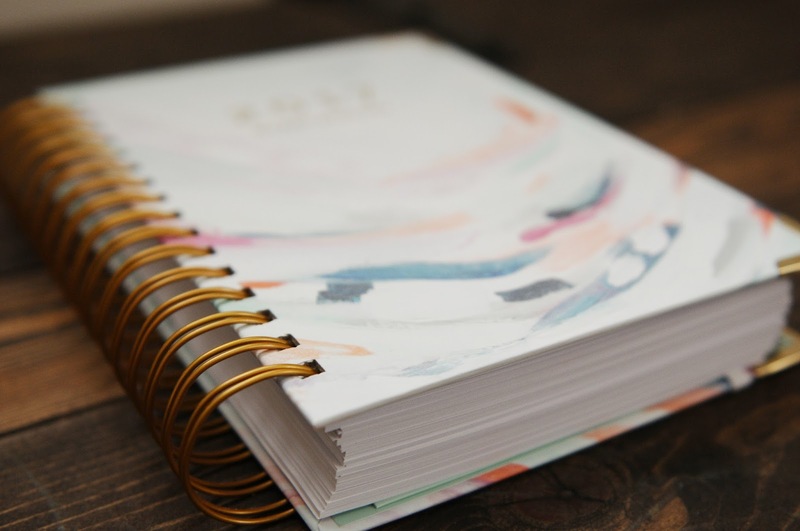 I have to give credit where credit is due, this planner is an eye catcher! It's so pretty and I am so in love with the modern pastel watercolor design on the front and back covers. 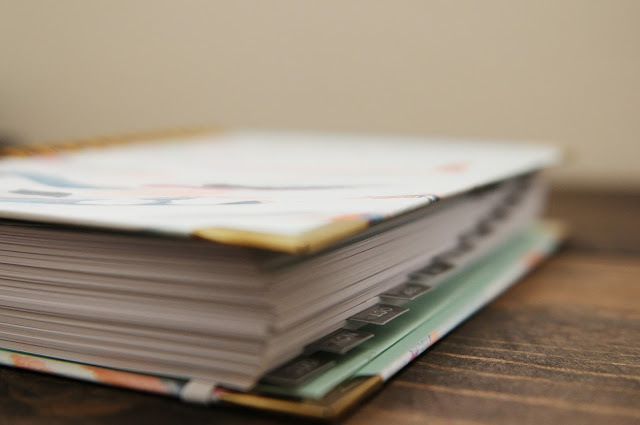 The gold metal spiral binding and corner accents are such great quality and very sturdy to withstand it's travel. I just love that they chose gold to accent the watercolor. I love great design! One thing I find very helpful when keeping organized are tabs and labels. This planner is full of them! It's like the eye candy of organization! The colors of the tabs are pretty, chic and stand out, making it easy to find what your looking for! Did I mention there is an elastic band (placeholder) that will hold your place so you can find where you last left off without wasting any time at all! I was so impressed with the details the STARTPlanner has. 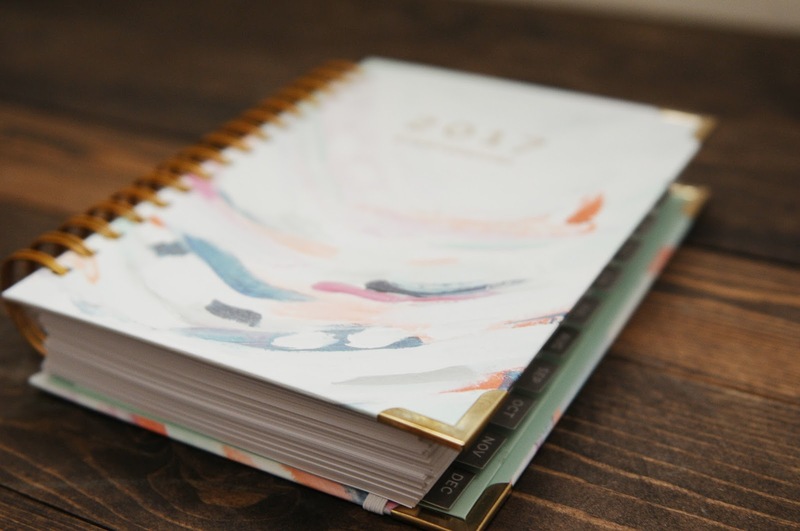 There are a so many pages dedicated to yearly goals, monthly goals, financial goals and a vision board for the year! 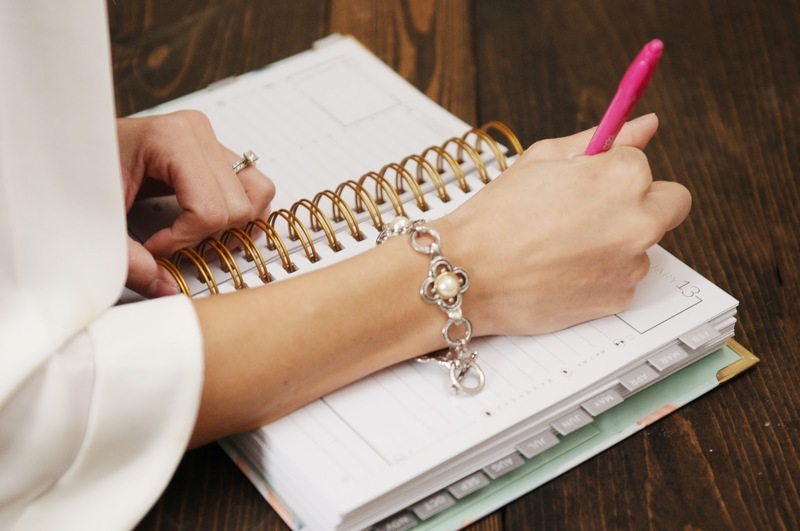 There are great budgeting tools that allow you to write in your yearly financials, monthly and weekly budgets, grocery and entertainment budgeting as well. There is even an area to keep track of monthly savings. I don't know about you, but I am a list kind of girl! There are checklists for cleaning, charity work, vacations, the holidays, groceries, gift buying and project planning! Woo hoo! I love the monthly overview calendar complete with a (monthly & weekly) grocery list, monthly budget and then breaks down your day, down to the hour. If that's not detailed I don't know what is! This planner will really have me set for 2017! The STARTPlanner is pretty much everything and more I could have wanted in a planner. I'm so impressed with the beautiful design and how detailed everything is. 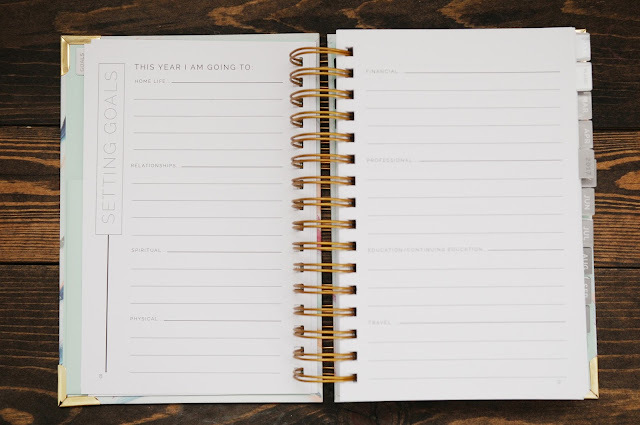 This planner will really give me the organization and the jump start I was really needing to be more successful with planning and organizing my life. 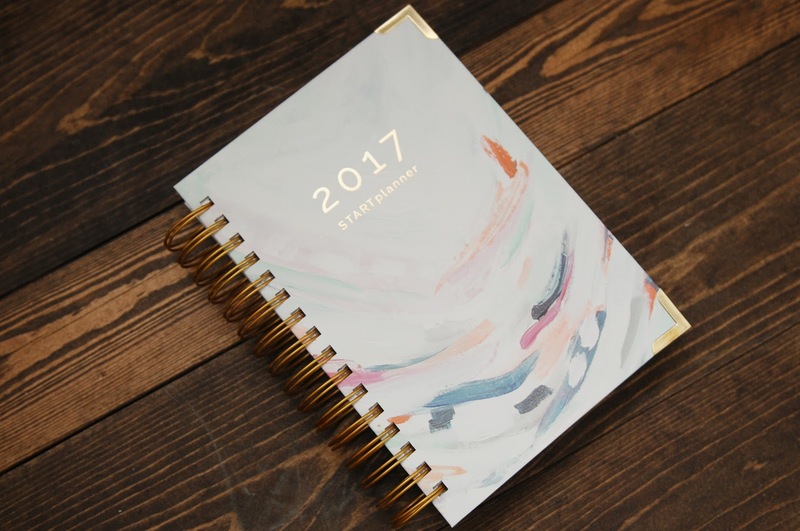 I want to give Kristy, Jenny and the START Team a HUGE thank you for my beautiful planner and can't thank them enough for helping me achieve my goals and get set for 2017! Now for the GIVEAWAY! It's easy to enter, just follow these two simple steps! 1.Follow this link and enter the contest. 2.You must also comment on Instagram.com/withmotherlylove STARTPlanner photo sharing at least one goal you have for 2017! Once you have completed both steps your entered in the giveaway! Upon entering the contest you automatically get a FREE party download! Enjoy friends! Thanks for stopping by and I hope this inspires you to get planning in 2017! **This post was sponsored by STARTPlanner. The opinions expressed are my own and not edited by the sponsor of this post.